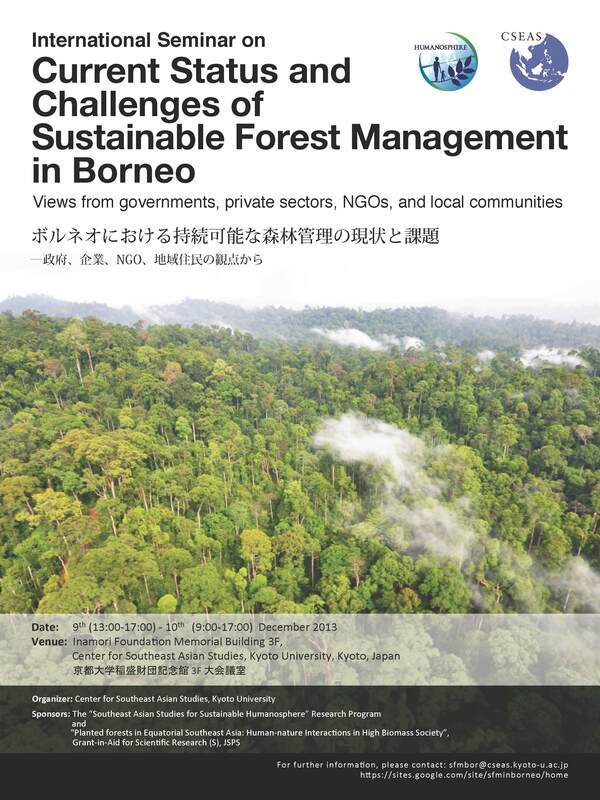 On December 9 and 10, our project held an international seminar ”Current Status and Challenges of Sustainable Forest Management in Borneo: Views from governments, private sectors, NGOs, and local communities with the co-hosted of Southeast Asian Studies for Sustainable Humanosphere research program. 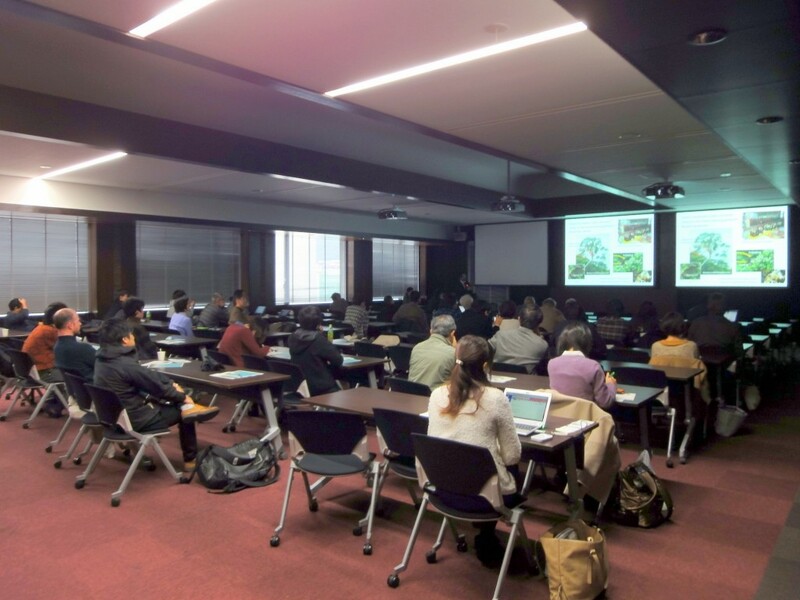 The two-day seminar drew about 120 participants from Japan and overseas and was concluded with success. From this Project, Samejima and Soda made their presentations based on the researches and studies of the project. This entry was posted in Events and Activities, News and tagged biodiversity, biomass @en, Borneo, Center for Southeast Asia Studies, forest resouce, Hiromitsu Samejima, Jason Hon, Malaysia @en, oil palm, oil palm plantation, Ryoji Soda. Bookmark the permalink.